Doors, tools, and paint – oh my! From now until the New Year on January 1st, 2018, all items with price tags dating to 2016 are a whopping 75% off! We’re counting inventory during the first few days of the month and need your help reducing inventory. You’ll be able to identify qualifying items by the printed date found on the price tag. 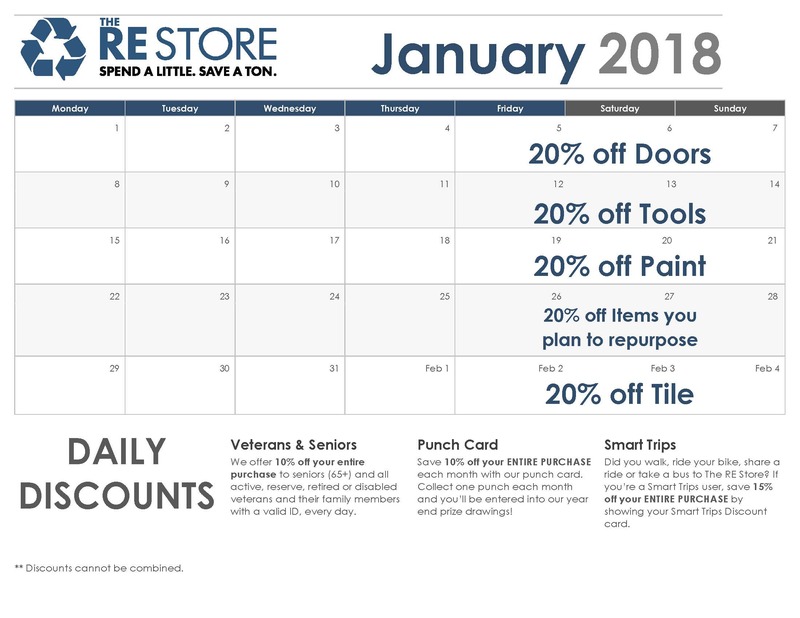 During the rest of the month, you can find items in the doors, tools, paint, and tile department discounted by 20%. If you’ve been dreaming of an indoors DIY project, now’s the time!